In this section, we introduce my personal favorite tool of depth and complexity: Ethics. This prompt draws students attention to the good and bad within a topic. It should spark opportunities for debate and chances to think from other points of view. For that reason, I also like to introduce the Multiple Perspectives prompt with Ethics. Multiple Perspectives asks students to consider how another person would think about a topic. It pairs nicely with Ethics because, to really understand an ethical issue, it helps to see that problem from a different view of the problem. The Ethics prompt asks students to think about the pros and cons of a topic. It’s perfect for surfacing controversy and problems. With ethics, we ask students to explore what’s good and bad. What are the predicaments, dilemmas, and ambiguous issues within the topic? We may love eating hamburgers because of their delicious taste, but they have downsides — health concerns, increasing prices, animal rights, religious objections, and so on. Biking is a healthy and environmentally-friendly alternative to driving, and it’s faster than walking. I bike to work every day. But what are the downsides? You’re very familiar with the ethical issues present in education — those tricky debates without clear solutions. Ask students for the ethical problems they face at school, and you’re sure to get an ear-full. You can apply ethics across nearly any content area for an instant boost in depth. What ethical issues does a character face… or cause? What ethical problems happened because of an event in history? Or what problems led to an event. What are the issues with the periodic table? Or with a specific element on the periodic table? Which ethical issues did George Washington handle most successfully? Or more poorly? You can apply Ethics to questions of fairness or justice. Even a question that seems silly can lead to some interesting discussions: is a food web fair? Which form of natural disaster is least fair? Is it fair that poetry doesn’t have to follow the rules of prose? In math, I use the ethics tool to draw students’ attention to common errors, dangerous shortcuts, or confusing aspects of a topic. For more power, combine Ethics with another tool, like Rules. I love posing the question: What ethical issues caused a new rule? And what new ethical issues did that rule then create? Multiple Perspectives prompts students to think about a topic from various, specific points of view. This tool adds complexity by encouraging a broader view rather than just going deeper. Once again, school is a perfect topic for introducing multiple perspectives. A student may see school in one way, but a teacher, principal, or custodian will see that same school quite differently. The hamburger takes on an entirely different perspective when viewed from the perspective of a vegetarian, a chef, a rancher, or a Hindu. 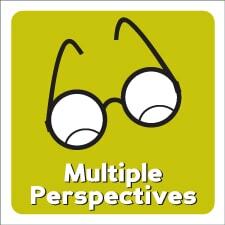 Multiple Perspectives adds complexity to nearly any content area. In a story, students might analyze the conflict from various characters points of view. Or they might consider how different people might interpret a story’s moral. How would a character from another story have handled the same Ethical problem? Historical events take on new complexity when we think about them from multiple perspectives. What was the American Revolution like from John Adams’ perspective compared to a regular colonist? What about someone living in France? How did different groups of people interpret the events of the Boston Tea Party? A biome takes on new meanings when we think from multiple perspectives. 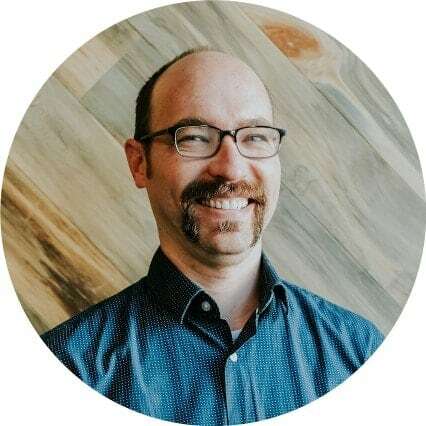 How is the importance of the rain forest different when viewed from the perspective of a medical company compared to a local logger or a real estate firm? Don’t be afraid to get creative! We can think from an animal’s perspective, or a planet, or a chair, or a building. What is school like for a chair compared to a desk? What does the moon think of the earth? The sun? 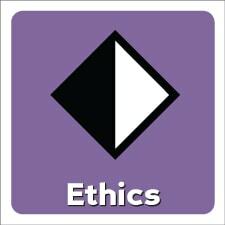 Look for several ethical issues within a topic. Rank them in order of importance. Compare and contrast two points of view about a problem. Explore how ethical problems can lead to new rules. This is part of a larger series about introducing depth and complexity.